Sassafrass Special Commemorative Case for St. Louis Tionól, 2008, to be Raffled off during the April 4-6, 2008 event. All proceeds go to support St. Louis Tionól! This case will be up for RAFFLE during the event! All proceeds go to support St. Louis Tionól! Sporting the 2008 Tionól design printed in Chocolate on the flap. 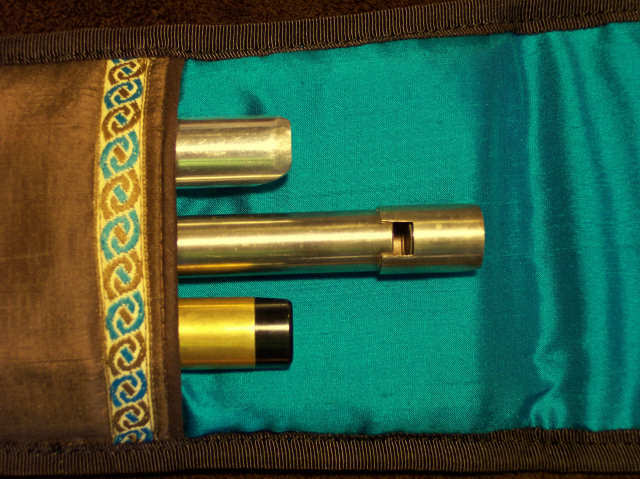 three separate slots for individual whistles up to Bb in length. 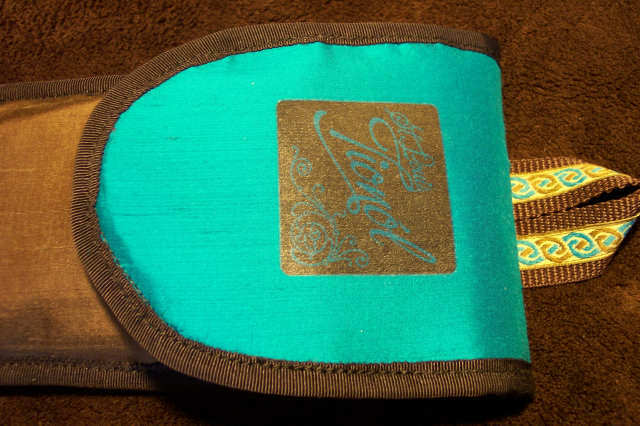 It has a belt loop on the back and is accented with a teal/toffee/cream knotwork trim.